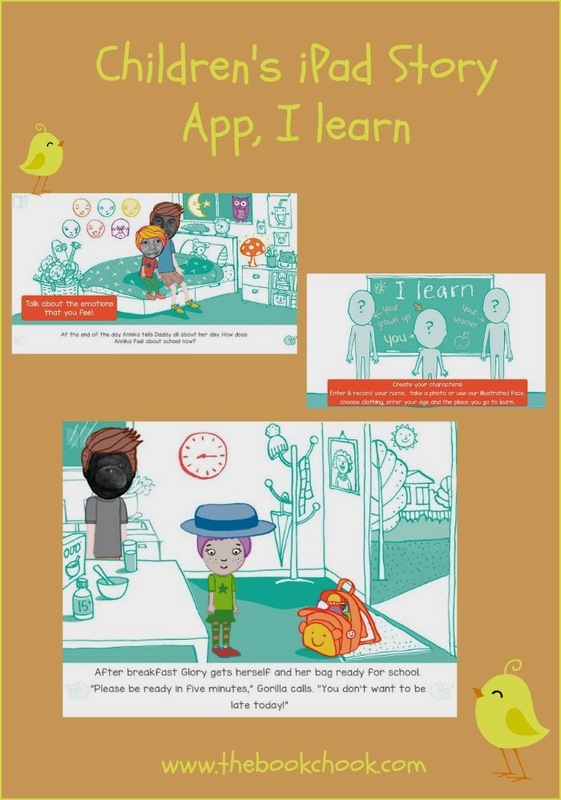 I learn is an interactive story app from developer, Bizzibrains, and was produced in conjunction with Screen Australia. Bizzibrains also make I imagine, a free story app. √ 11 interactive story pages, hand drawn illustrations, music, sounds and narration. √ Use of device camera; microphone. * Choose hairstyle, clothing, shoes and colours. * Play in the playground. A child (we can give him/her a name) needs to get ready for school. So kids must help her dress, tidy and gather her things. The next screen shows a dice game where children can roll the electronic dice to advance their characters around a game board to the goal, school. Like all game boards, there are spaces that advance you, and others that set you back. The child proceeds through different activities, ones that practice sounds, others that involve making decisions about play and tidying up. I learn doesn’t have a lot of bells and whistles. The focus is squarely on education and what you can do WITH the app. I can see parents using it with their children to discuss concepts like getting ready for school or what school will be like. It's a boon for anyone with anxious little ones. Therapists could use it with youngsters to concentrate on vocabulary, emotions or life concepts. Children will enjoy interacting with the story, reading along, and making decisions about the story. Parents will like the emphasis on little ones sharing with their parents at the end of the day - could the app possibly bring an end to “Nothing” being the answer for “What did you do today?” The links to extra resources for Parents are a really nice touch too. I’ll be adding this post to my List of Charming Children’s Story Apps.